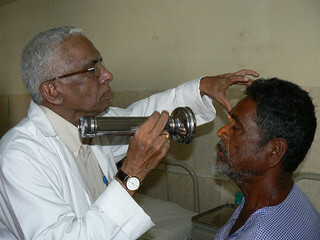 For the middle class in urban India, private doctor clinics form the primary health centers followed by diagnostic laboratories. Increase in specialist doctors and state of the art pathology laboratories have probably improved health care and life expectancy among the urban dwellers however time wasted by patients in waiting for doctors or for lab reports have exponentially increased. Appointments at most places is on a first come first serve basis or at the best by telephonic booking. Recently, on a visit to the pediatrician for my kid, I saw the board that the doctor had put up for appointment booking using SMS; I immediately tried that and instantaneously got a token number and appointment time by SMS; cancelation was even more simpler – just forward the appointment SMS and your appointment gets cancelled. I tried to dig into how this is done. The doctor uses an application on his Android smartphone to set up the schedules that he is free and the slots that are available via SMS. 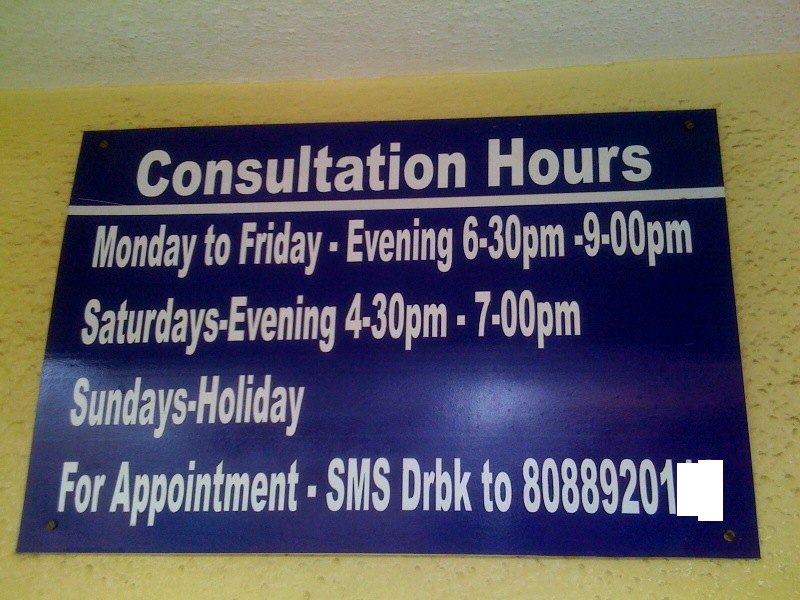 This doctor has neatly divided the slots between those who opt for SMS booking and those who opt to take a manual token by visiting his clinic at the opening time. The convenience for the early adopters of technology did not eliminate those who did not want or did not know to make use of technology. And for the doctor, all that the doctor needs to invest is in an Android smartphone and a one time 5000 rupees ($100) for the application. Take a look at the lackluster website of this brilliant product called mtoken. Did I mention that this doctor is always busy and charges less than what most specialists charge? My dad had to get a blood test done and this time I changed the lab for some reason. The sample collection and billing was no different. The billing clerk told me that the report would be available by evening. I just took a second look at the receipt and saw that there was a reference number and a registration number along with a URL pointing to online reports. By afternoon I tried the URL and provided the two numbers on the receipt to find the report ready. No email registration. No confirmation of account. No drama at all. I can quote the registration number on my next visit so that all the reports are collated. The report is by default available as a printed report at the delivery time – printed by the lab from the same place where the patient can see it online. The convenience for those who do not want the reports online does not degrade at all. Take a look at the lackluster website (again) of this brilliant diagnostic laboratory the Anand Laboratories. Did I mention that the blood tests here costs 20% less? What makes me awed by these two products is how technology has been introduced in a non-pervasive manner. Existing users (customers) would continue to use the booking or collecting the reports the way it used to be. For the better informed there is a better way. Huge hospitals and poly-clinics have struggled to introduce such brilliant low-cost and simple user experience. Added to that, these products do not come from companies which have a designated Product Manager, a UX designer and a great 3rd round VC funding! As a Product Manager, these two products were truly inspiring to me by their simplicity and thought that I must put it on record as a blog post. This entry was posted in customer, Product Management, User Experience on August 5, 2012 by Vivek Vijayan.